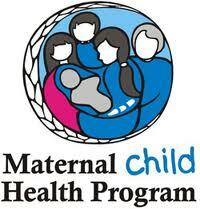 The Strengthening Families Maternal Child Health Program (SF-MCH) is a family focused home visiting program for pregnant women, fathers and families of infants and young children from 0-6 years of age. The program provides support to families in the Sagkeeng community that builds on their strengths and addresses the family’s needs, questions and concerns. The SF-MCH program also assists families to access other supports and health services within the community and surrounding area. This program provides home visits to families by nurses and specially trained home visitors, provides referrals and access to other service supports and promotes coordination of services for children and families with complex needs. The overarching vision of the SF-MCH program is that all families within the Sagkeeng community will grow to be strong, healthy, supportive families to live holistic and balanced lifestyles. ... or leave a message here and someone will get back to you!